Can anyone help me please? I tried syncing my iPad many times but each time I got the pop-up saying "iPad cannot be synced. An internal device error occurred". What error is this? It is freaking me out every time I sync my iPad. Is there anyone who got the same issue? Please guide me. I have no idea about how can I solve this issue. It could be a software issue of your iPad or iTunes is not working normally. In this post, we have provided the potential troubleshooting steps that can be helpful in such situation. These are easy fixes and require no technical knowledge. Let's figure out how you can solve it by yourself. 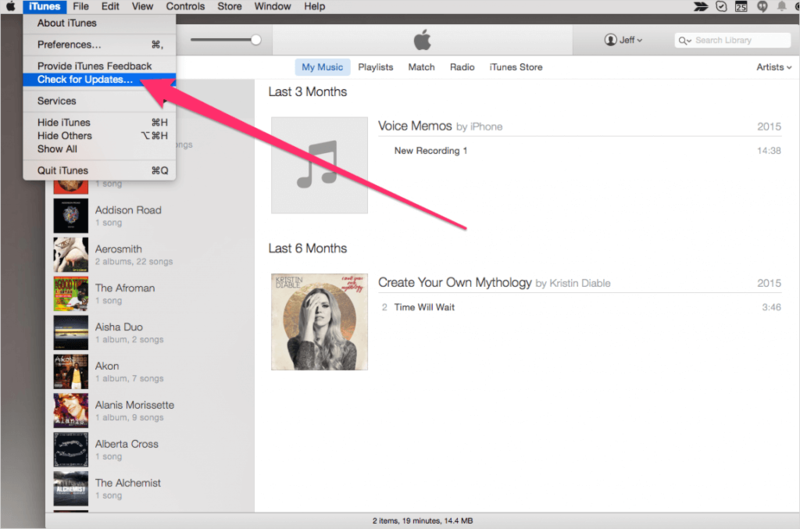 Running an older iTunes' version can be the reason why your iPad cannot be synced. 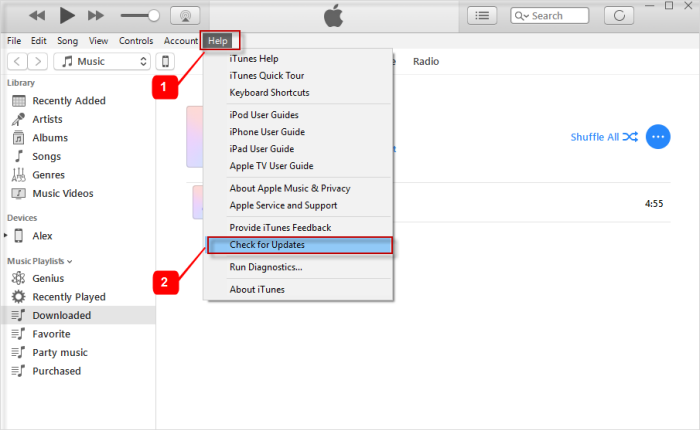 In order to avoid that internal device error, you need to install the latest iTunes version. And for the steps, you need to scroll down a little. Choose 'iTunes' option from the menu post opening iTunes. Choose 'Check for Updates' and you will be notified whether you have an update or not. If there is availability, follow the prompts and install the latest version. Launch iTunes and go to the 'Help' option. To know about the updates, go to 'Check for Updates'. 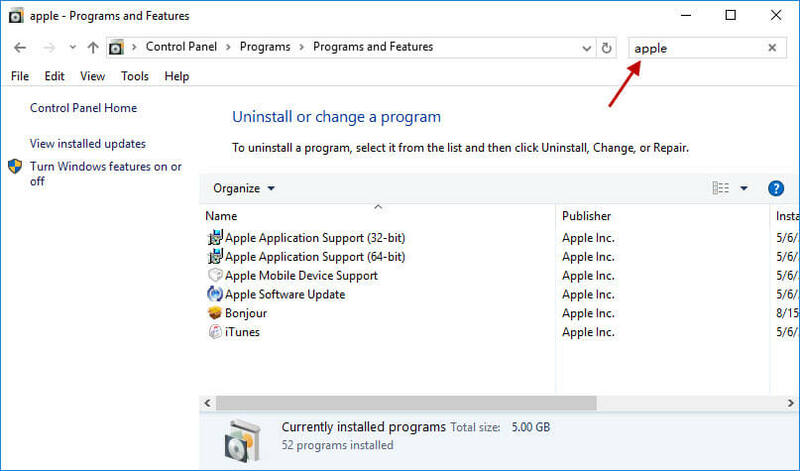 Lastly, click on 'Install' to get the newest iTunes version in your PC. Many times, removing iTunes and the installing it again works when syncing issue emerges with iOS devices. So, in the case of iPad not syncing too, you need to try uninstalling and re-installing iTunes. Read out the steps meticulously to get the process done. First of all, begin to remove all software related components by using 'Control Panel'. Make sure to remove them in the same order as mentioned below. Sometimes some systems get two iTunes version of iTunes. Ensure if you have both versions and uninstall both. After doing this, uninstalling process will be completed. Now, restart your computer and go for the re-installation of the iTunes process. Whenever an internal device error occurred and iPad cannot be synced due to that, try force restarting your iPad. This can fix the issue. Here are the steps to do this. Begin with pushing the 'Sleep/Wake' button along with ''Home' button. Keep holding the buttons for roughly 10 seconds. Release the buttons at the moment you see the Apple logo on the screen. 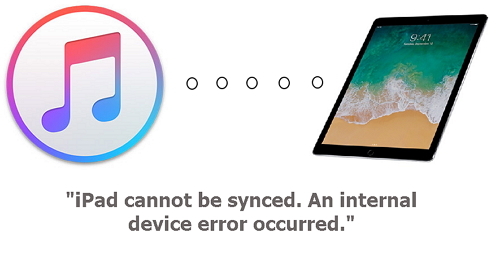 Sometimes, when there is a syncing problem with iPad, chances are that iTunes are not supported to your system or maybe there is any technical issue with the system. Also, perhaps the USB port of the computer you use is not fine and giving you the problem. That's why, we would suggest you to try connecting your iPad with another computer and check if the problem disappears or not. If still your iPad is not syncing, jump down to the next fix. Step 1 – Launch iMyFone D-Back in your PC after downloading and installing it. 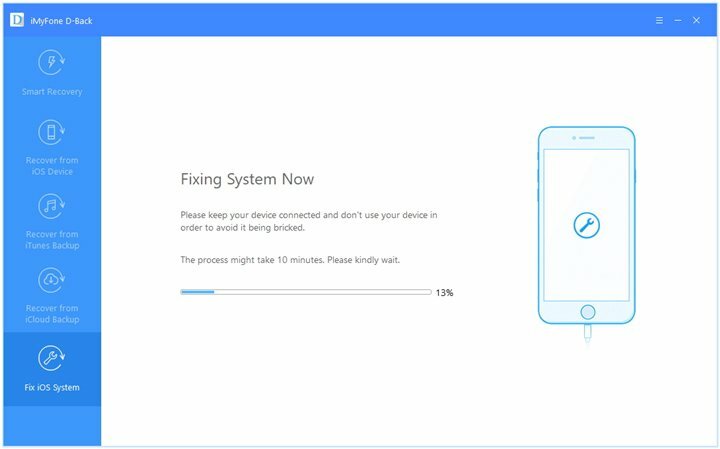 Select 'Fix iOS System' from the screen and connect your iPad with the computer using USB cable. 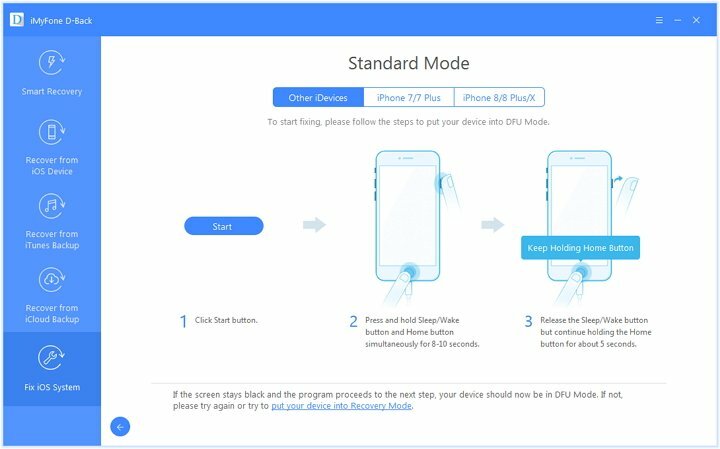 Step 2 – Select the "Standard Mode" when you get three different modes on the screen. Now, click on "Start" and follow the instructions to take your iPad into the DFU mode. Step 3 – Look for the "Download" option and click on it. 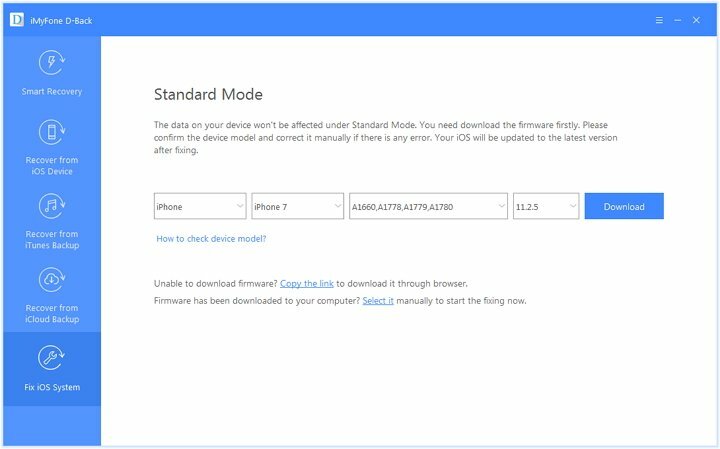 This will give you the latest and matching firmware for your device since the program has the ability to detect the device. Lastly, click on 'Start to Fix' option and the problem will be solved within a while. A yet another solution that can help you when the iPad cannot be synced is restoring your iPad with iTunes after putting it in recovery mode. Here are the moves that you should take for restoring. Firstly, open iTunes and connect your iPad with your PC. Now, follow the steps of 'force restart' and you will get the recovery mode screen at the end. 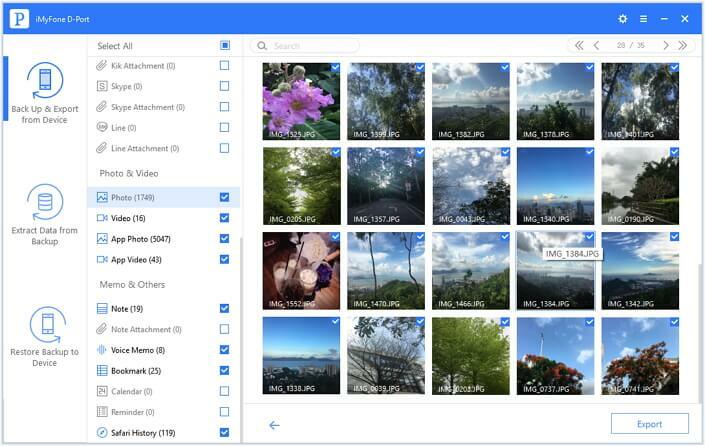 This will be recognized by iTunes and it will give you a window withsome options. 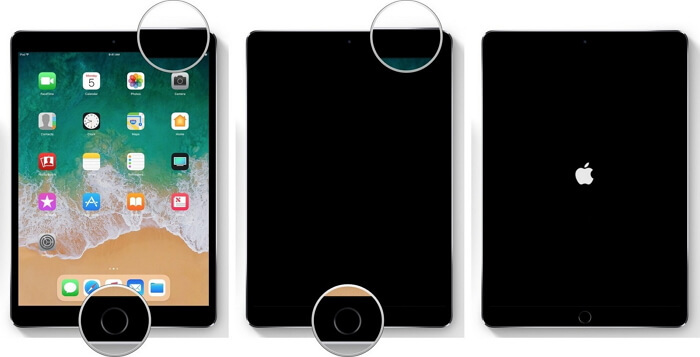 Click on 'Restore iPad' and your device will be out of trouble. Please note that this method will remove all your data so ensure to make backup of your device. 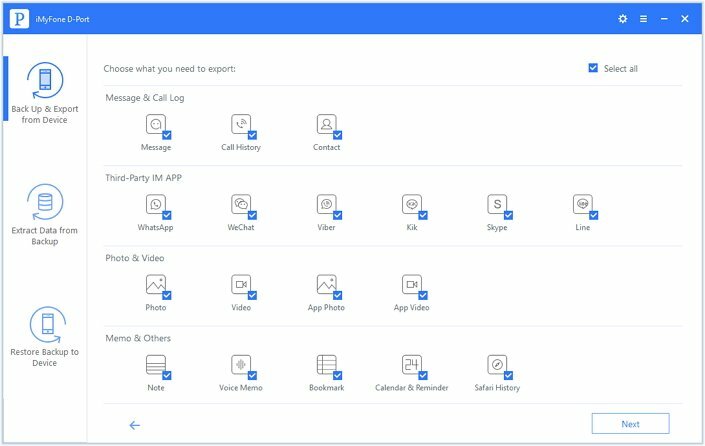 If you want to export your data from iPad to computer, you can try iMyFone D-Port, which is a third-party tool that supports various functionalities including backup and exporting options. You can just use this program instead of iTunes to avoid the possible errors. 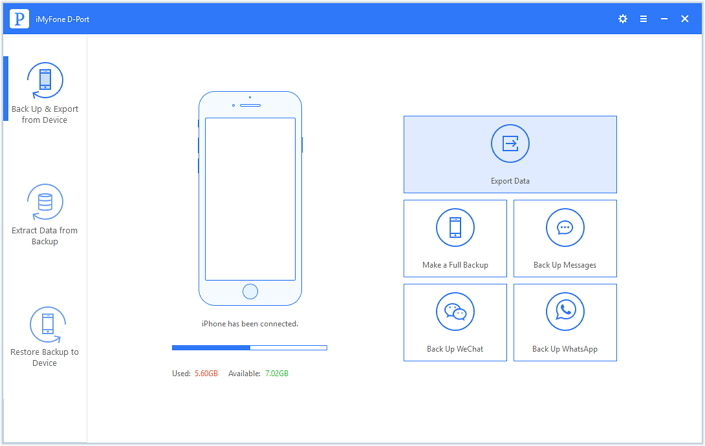 Step 1 – Launch iMyFone D-Port and get to the main interface. Choose 'Back Up & Export from Device' option located at the left panel of the screen. Step 2 – Hit on 'Export Data' option from the right screen. You will get to see the list of data types. Pick out the data you wish to export followed by hitting on 'Next'. Step 3 – The data will be scanned by the program and you will be able to preview the data before exporting. Select the preferred format for the data and click on 'Export' option at the bottom right.